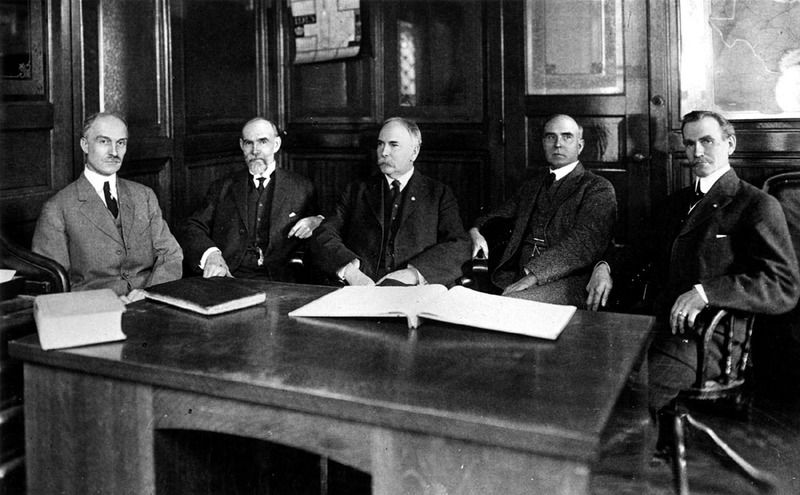 Photograph: Top photo courtesy of Candles Museum. Bottom photo of Auschwitz Holocaust Eva Mozes-Kor Tells Muncie “To Forgive”; photographer, Aimee Fant, Muncie Voice. On Thursday April, 3rd 2014- Eva Mozes-Kor, 80, former Auschwitz Holocaust survivor/Menegele Twin of Nazi Germany, and current resident of Terre Haute Indiana, shared her story of survival and forgiveness against impossible odds, with Muncie, at packed house in Emens Auditorium/Ball State University. 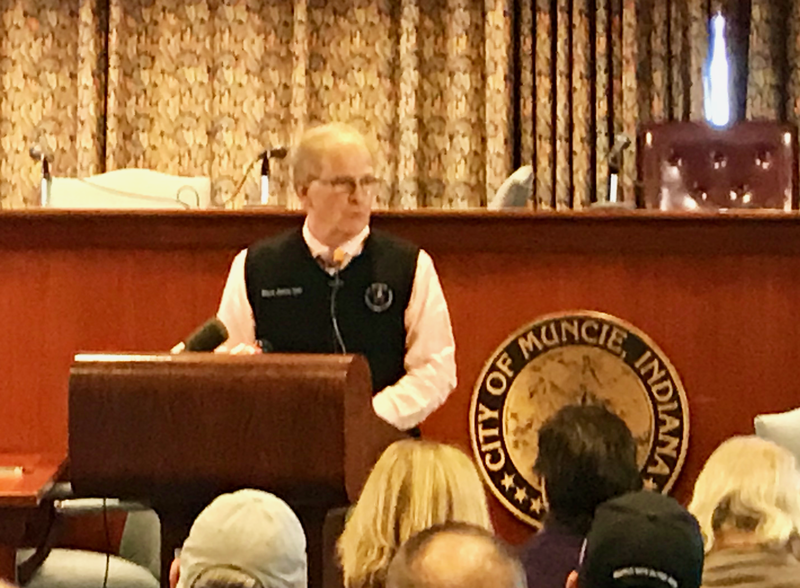 Mayor Dennis Tyler announced that April 3rd would be named “Eva Mozes-Kor Day” in Muncie, Indiana. Kor has shared her story many times through her book, in other auditoriums and on the world stage. She is a precise narrator. She is fearless. She finds gritty humor in the darkest of places. As many around the world are celebrating the Easter holiday, we consider forgiveness. Believers and non-believers alike are reminded of Christ’s spoken words of forgiveness on the cross, for those who he knew would betray him. “Father, forgive them for they know not what they do. ” Luke 23;34 . He forgave those who took his life before they took it. We are also reminded of living in a world in which the rules can change instantly and upon the heels of the chilling news that black-masked pro-Russian militants handed out leaflets- demanding that all Jews over the age of 16 living in Donetsk, a city in Eastern Ukraine, register themselves and their property, pay a fee of $50 or be deported- We learn that organized antisemitism remains. In America, antisemitism was recently displayed through the murders carried out by anti-government fascist Neo-Nazi and former KKK leader Frazier Glenn Miller Jr. Sunday, April 13th, 2014. 7 decades post-World War II and after the Holocaust (of which an alarming proportion of the world deny and dismiss) anti-Semitism remains a very real threat. Eva Mozes-Kor’s story of forgiveness is immediate and universally necessary. Especially now. Kor makes her own case for forgiveness. On this stage at Emens, a table and a single chair awaited her entrance. 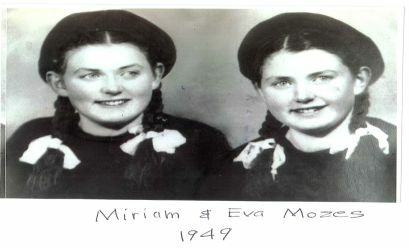 After having studied the Mozes sisters’ faces, the Nazi asked Eva’s mother if she and her sister Miriam were twins. Her mother Jaffa Mozes, replied by asking: “Is this good?” (For them to be twins.) The Nazi responded: “Yes”. So her mother was pulled to the left with outward-stretched arms, pleading- and they were pulled to the right. She never saw her mother again. She and her twin sister Miriam never had the chance to say goodbye. Their entire family vanished into the sea of Jewish prisoners, all of whom were being taken away- most of them, forever. Shortly after her arrival on this first day, she was forced to strip naked. She closed her eyes, then opened them; hoping it was a just a nightmare, but it was only just the beginning of a living nightmare, where- in Kor’s own words: she and her sister existed between life and (probable) death. Eva counted 3 corpses of children and 5 rats among them, in the filthy space to which she was now a prisoner. She instinctively knew that she would NOT die there. She had a vision of she and Miriam walking out alive. She knew she had to fight for her sister and that she was the stronger of the two. Her fight began when it took 4 people just to restrain her (as a Nazi tattooed her arm with the prisoner number (A-7063). She was raised to be a nice girl, she says- but her sister Miriam recalls that Eva actually bit the Nazi that inked Miriam’s prisoner number (A-7064) into her arm. Eva and Miriam just 10 years old- were among hundreds of sets of female twins, ages 2-16 years of age; A total of 3,000 twins. At Auschwitz, everyday for breakfast they were given a blackish/brownish liquid called “coffee” (she says it was NOT coffee) and white gooey “stuff” that resembled “Cream of Wheat” (but was not-Kor said it was inedible). For dinner, they were given bread. She, her sister and the other twin prisoners were lice-infested, starved of food, of human-kindness and of the love of their parents and siblings who would soon perish separately in neighboring camps. She was deprived of all rights, but had a fierce determination to live. Dr. Mengele’s experiments were torturous, brutal, painful, inhumane, degrading and usually deadly. Much of her time being monitored, evaluated and measured by Dr. Mengele’s team of Nazi physicians, along with the other twins, she was forced to be completely naked. 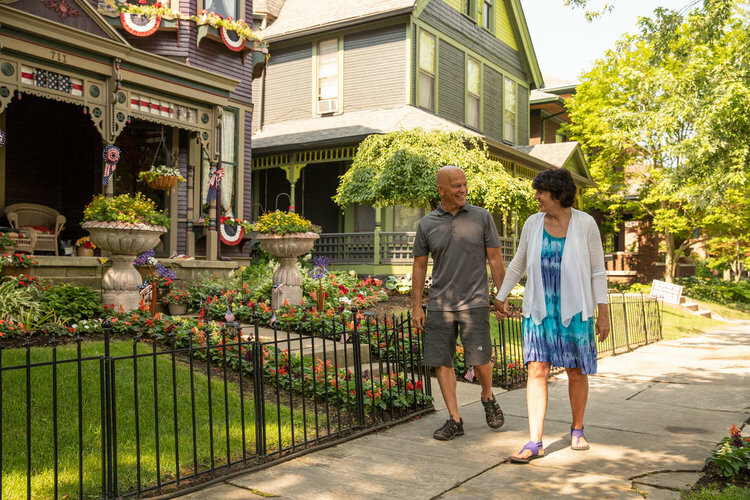 She said the of days leading up to the liberation, that “One day, we slept past role-call to find the Nazis were all gone.” She saw American planes flying over head and it filled her with hope. She and the prisoners stormed the pantries for food. But a few days later, a jeep appeared and out of it came Nazis with machine guns, spraying bullets into as many prisoners as possible and setting fire to the gas chamber to get rid of their evidence trail. Amid the firing machine guns, she became unconscious. She awoke to find most of the prisoners had been killed by the gunfire and that she must have escaped harm because she fainted and they thought she was dead. She attributes this to the work of a guardian angel. Just 200 of Dr. Mengele’s 3,000 twins survived. Eva and Miriam were among them. The day of her liberation came the blurry white shadows of soldiers through the heavy snow, who brought them chocolate, cookies and hugs. “I had not been hugged in a very, very long time.” Kor said. Eva Mozes-Kor spent much of her life, after having survived Auschwitz- hating the Nazis. She says that “She hated them in her guts.” After Auschwitz was liberated, Eva and Miriam were taken from fascist, right-extremist, nationalist Germany to communist left-extremist Romania to live with an Aunt and Uncle. In Romania, she came to know (and despise) communism. Jews were often arrested for speaking out against it. She said of Stalin’s communism: “The rich exploited the poor. The communist party preached of brotherhood, equality and freedom. But there was none. “Someone wrote (spray-painted) ‘Remember Timmy McVeigh’ on the outside wall. As a teacher, I find this very peculiar, because he has always been referred to in the media as ‘Timothy.’ It was as if the arsonist or arsonists personally knew him.” The arsonists are said to be white supremacists and supporters of right-wing extremist/domestic terrorist, Timothy McVeigh- who was convicted in the 1995 of the Oklahoma City bombing. He was executed at the federal prison near Terre Haute in 2001. CANDLES was restored in 2005. The final and most important signpost on the path to forgiveness was being asked by a Boston University professor to tell her story at a physicians’ summit, held in Boston, but with the request that she also appear in the presence of a Nazi doctor. “Where and how in the world might I get a Nazi doctor to speak to me and why would he agree to come here?” She asked. This task seemed impossible for a myriad of reasons to Kor. Kor’s desire was to have the validation of the existence of the gas chambers- for which there was denial after denial. She was able to locate a living and free former Nazi doctor by the name of “Dr. Heinz Mutz. The two met at his home. She asked of Dr. Mengele’s research and he said he had no access to any of the data gathered as a result of all the experiments. Dr. Mutz indicated that Dr. Mengele kept everything, himself when he escaped war crimes persecution. As they spoke they found themselves saying to one another “How is this possible? You are supposed to be my enemy. But I like you.” Both Eva and Dr. Mutz experienced nightmares since their time at Auschwitz/Birkenau, and after Eva convinced Dr. Mutz to come back with her to this summit, to sign a document acknowledging the existence of gas chambers (and the use of them) Eva’s nightmares vanished. To thank Dr. Mutz, Kor said she went to the card section of the grocery store and stood for 2 and a half hours trying to find one. She gave up and wrote a “Letter of Forgiveness” instead. Dr. Mutz served as a vessel of forgiveness and healing. And through him, Kor was able to forgive Dr. Mengele- the “Angel of Death” who haunted her at her very core. On this day- this Easter- it must be asked: If Christ could forgive the Romans and Jews who were crucifying him and if Eva Mozes-Kor was able to forgive the Nazis, how might we also find the strength to forgive? This event was made possible by many leaders, businesses and organizations within the Muncie community; Central to the organization and inception, is Steve Robert, the BSU Jewish Studies Program (Frank Felsenstien) and Emens Auditorium. Funding was provided by: The Ball Brothers Foundation, Provost Office, Community Foundation of Muncie and Delaware County, and Dr. George and Linda Branam. To learn more about Eva Mozes-Kor and to contact her directly, please visit CANDLES.